Is KUWTK Over?! 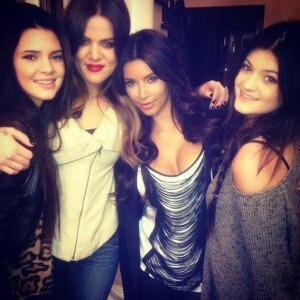 Find out WHY the Kardashians are pulling OUT! Kim Kardashian, Khloe Kardashian, and Kourtney Kardashian are refusing to move forward with the filming of Keeping Up With The Kardashians on E! that’s supposed to resume in OCTOBER until they catch the person that has been STEALING from them!!!! Just this year there has been THREE robberies…first $250,000 worth of jewelry being stolen from Khloe’s house, then $50,000 from Kourtney’s house and most recently $4,000 from Kourtney’s Hamptons rental. Crazy thing is there was no sign of forced entry….so they think it’s someone who is working on the show!!!! They want everyone to take lie detector tests, too. Isn’t it messed up that someone on the INSIDE would be stealing from them?!? crazy.